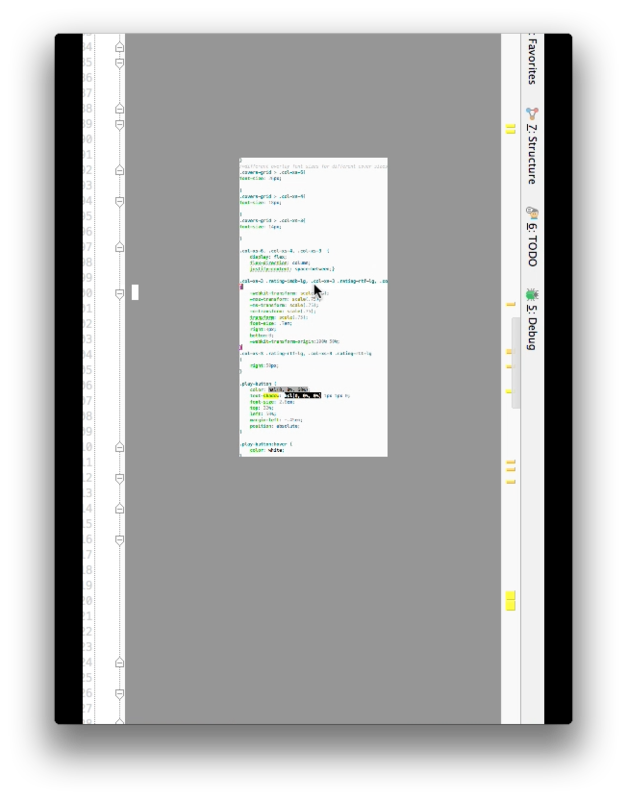 I can't change font-size via pinch, instead, WS7 zooms the whole document canvas! (and springs back on release.. very weird gimmick). I don't use a mouse apparently. No -- one font for all text. Sorry, answering my own question again, but I found a way to do that. Basically, pinch-to-zoom works as expected, it just won't go any smaller than default font size, but it will go larger! Therefore, if we set default font size small enough, then we can zoom in (= increase font size) in other split tabs as desired.